A blocked gutter means that rather than draining away water will overflow, creating slip hazards around commercial buildings. 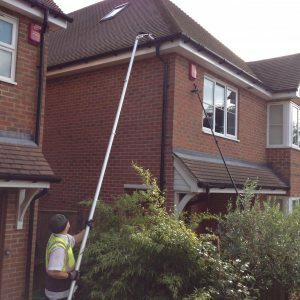 Don’t let blocked gutters make your building dangerous, with Nationwide Cleaning we can clean virtually any gutter, ensuring that the water flows where it is supposed to. To make sure that your building’s gutters are safe and clear they should be cleaned regularly. 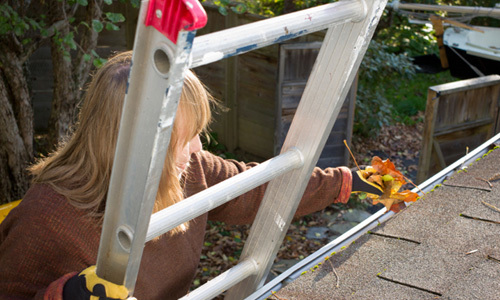 Nationwide Cleaning provides an expert gutter-cleaning service. We will clean your gutters with all the proper equipment, using a pressure washer to remove any blockage ensuring that your gutters will flow smoothly. At Nationwide we have a team of height access experts who are trained in high rise cleaning using elevated work platforms and abseiling. Our employees are fully trained to use all kind of EWP and to do abseiling work with OH&S (Occupational health and safety). We ensure satisfactory gutter cleaning in Melbourne and clean your gutter no matter how high up, safely and effectively. At Nationwide Cleaning we pride ourselves on providing cost effective, reliable, professional and flexible commercial cleaning services. We understand that our commercial clients are working in a strict operational budget, that they need to know we will be there when they need us, that we will do an excellent job every time and that we will work around them, minimising the impact on their operations. We provide best gutter cleaning services in Melbourne and can clean virtually any gutter no matter how high or hard to reach. We are ready to clean your gutters right now so please feel free to contact us, we provide the best gutter cleaning in Melbourne and can clean virtually any gutter no matter how high or hard to reach.